The Rolling Stones have announced a 2015 U.S. stadium run. The Zip Code Tour kicks off on May 24 at Petco Park in San Diego, CA and wraps up on July 15 with a headlining appearance at Le Festival d’ete de Quebec in Quebec City. Tickets for the festival go on sale April 11, while the rest of the tour goes on sale April 13 via RollingStones.com/Tickets. The trek is set to feature a large stage that extends deep into the audience, complete with large video screens and other amenities. In 2012, The Rolling Stones only ranked #33 out of 50 on the Top Grossing Tours list, and only pulled in 35.5 million…but they only played 6 shows. 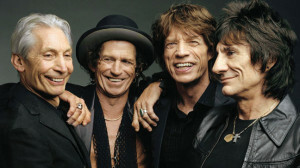 The Stones mounted a mini-tour to celebrate their 50th anniversary as a band. The celebration kicked off in Paris with a warm-up show at the La Trabendo Night Club . Then, two shows at London’s O2 Arena in November, a stop at the new Barclays Center in Brooklyn, NY, and a two-night stand at the Prudential Center in Newark, NJ. The Stones also were a late addition to the 12-12-12 Concert for Sandy, a benefit show at Madison Square Garden in New York City that also included fellow top-grossers Bruce Springsteen, Chris Martin of Coldplay, Roger Waters, and Paul McCartney. 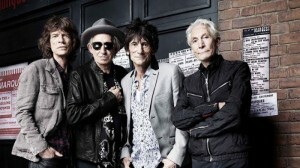 Tagged Charlie Watts, classic rock, hard rock, Keith Richards, Mick Jagger, rock music, rock revival, rolling stones 2015, rolling stones 2015 tour, rolling stones exclusive, rolling stones tour dates, rolling stones zip code tour, Ronnie Wood, stones tour, the stones, TheRockRevival.com. « VAN HALEN PERFORM “PANAMA” and “RUNNIN’ WITH THE DEVIL” on JIMMY KIMMEL LIVE!